How happy, healthy, and secure are Americans? Gallup asked half a million adults across the United States to rate their well-being from one to 100 across five factors: daily life, physical health, location, finances, and companionship. Combined, these measurements determined the states and cities with the highest and lowest well-being. The survey reveals some clear geographic trends: 13 out of the 15 lowest ranking states are clumped together in a single band that stretches across the central and southern states from Michigan to Louisiana. Meanwhile, well-being scores soar just to the west. Those content neighbors join Hawaii, Alaska, and a few Northeast states as being among the healthiest. While Gallup’s survey doesn’t attempt to explain why individuals feel the way they do, it does expose some commonalities among the lives of Americans. Respondents from the lowest ranked states were more likely to report worse physical and financial health: They were more likely to smoke, be obese, and have little interest in life. They also reported not having enough money to buy food or healthcare. Twenty-nine percent of respondents in West Virginia, the lowest ranked state, were smokers, compared with only 13 percent of those surveyed in Hawaii, the top-ranked state. One out of every eight residents of Rhode Island, ranked number 42, felt unsatisfied with their standard of living, while one in 20 living in North Dakota, number 16, said the same. While respondents in the healthiest states generally score all aspects of their lives highly, Hawaiians’ scores plummet for companionship. While Hawaii ranks number one for overall well-being, it ranks 46 for companionship. By distilling each state’s survey answers, Gallup also calculated the well-being of residents of the 189 largest metro areas of the United States. States and metro areas with the lowest well-being scores are mostly in the eastern central part of the United States. Middle-ranked areas are concentrated along the eastern seaboard and scattered throughout the West. 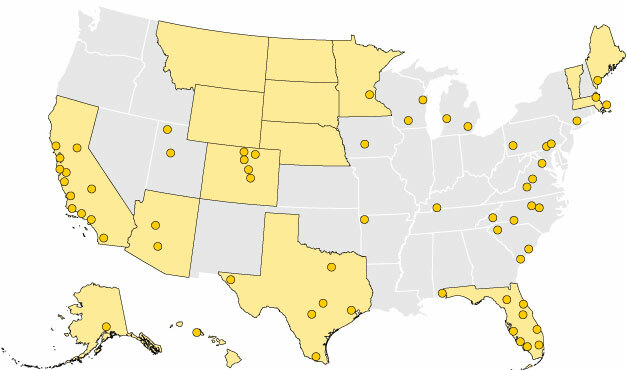 The highest-ranked areas are mostly in the West and along the coasts. Larger population does not correlate with lower well-being. 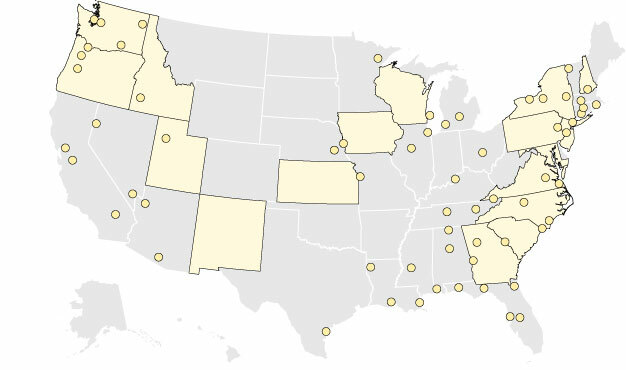 Only four of the top 21 most populous urban areas fall in the lower third of well-being scores. New York, Los Angeles, and Chicago, the largest U.S. metro areas, are midrange when it comes to well-being. The smallest urban areas represent both the highest and lowest scoring populations. The Naples metro area in Florida ranks number one for metro area well-being, while Fort Smith, Arkansas, a city with about the same population, ranks at the very bottom. Those who live in the metro areas surveyed by Gallup tend to rate their lives more highly than the more rural residents in their state. Nearly half of urban dwellers score above their state’s average, and only 11 percent say they are worse off than the rest of their state. Many metro areas surpass their own state’s well-being. This is especially true of the Fayetteville-Springdale-Rogers metro area, which is a top-ranked urban area in low-ranking Arkansas. Satisfaction with daily life received the biggest boost: For example, 81 percent of urban dwellers said they enjoy what they do every day, compared to only 76 percent for the state as a whole. Still, many metro areas are unhappy places. Even though Texas is the third-ranked state, three of its 10 metro areas fall into the bottom third of well-being. Despite being located in some of the lowest ranked states, metro areas like Ann Arbor, Michigan, and Fayetteville, Arkansas, have some of the most fulfilled residents. Urban areas in mid-Atlantic states, like Virginia, Pennsylvania, and North Carolina, tend to be in the highest or lowest third of the well-being rankings. Large states, like California, Texas, and Florida, have the most lowest-ranked urban areas. These urban areas tend to be less populous than higher ranked areas in the state. 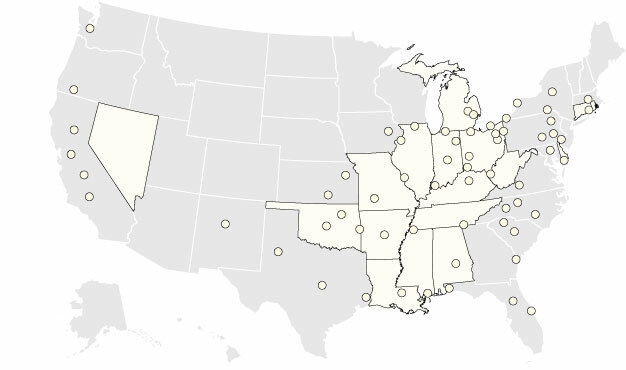 NOTE: Some states have no metro areas represented in the Gallup survey. Washington, D.C., is represented in Virginia.